Welcome to Book Writing University's Online Author Academy. The first step in the process is to register and set up your account. Once you do that you will see your account page which contains all the information you need to get started. Prior to selecting a course, we highly recommend reviewing the course description in order to make an informed decision about course selection and prerequisites. Once you have registered and/or logged in, please feel free to go through the selection of courses. 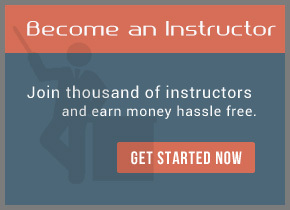 once you have decided on a course you are free to begin studying the course content. Most of our courses are in PDF version which you can either download or view with or online reader. Some other courses are laid out with different units and sections online as well. As you take each unit and complete it, the progress will be highlighted on your course timeline o the right hand sidebar. Once you have finished the curriculum and are ready for the test, you may then proceed to the shop area to pay for the exam. This will unlock the exam and the certification process as well. You will be able to take the exam up to 3 additional times if you fail on an attempt. Upon successful completion of the Final Exam, you simply click on the "finish Course button and you are done! Once you have completed a course successfully, you can view the test results from your profile page. From there you will also see the certificate you have earned. Then you can view, download and print the certificate right form the website. *Please not that you will need the latest adobe PDF reader in order to view and print the actual Certificate.